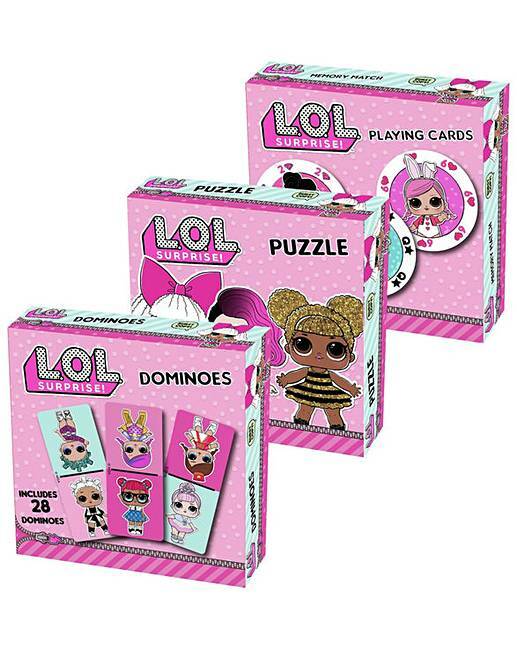 Kids will love playing with this L. O. L. Surprise! 3-pack bundle! Includes 24 piece puzzle, 28 dominoes and a jumbo set of playing cards for favourite games, like Go Fish, Old Maid, Rummy, and more! Includes 1 - 24-piece puzzle, a set of 28 dominoes, and 1 deck of jumbo playing cards.